You may use of sitting on the chair and then push the button of your computer windows device or cell phone gadget. Then suddenly your minds click yours through to socialize with the people and you finally spend a couple of hours posting news feed, conversations and to share media files such as photos and videos. Then tend towards Google and you might use of searching something you like the most or to read an article and it is also possible you have sent or received emails. In short, all the things you have done on social networking app Facebook and on Google your personal details actually goes far beyond what we all of us imagine. Are your ready! It would be a panic moment for all of you to know the extent of information Facebook and Google store about you and you don’t have clue. Google always stores the GPS location on your mobile phone, if you have turned on the location of your handset. You can firm by seeing a timeline if where you have been the moment or the day you have started using Google on your smartphone. Google has the ability to store the entire search history across all of your devices whether is the cell phone of Android, iOS, and blackberries OS and others. However, it does the same with Windows PCs. No matter what if you have deleted internet search history on your personal device or gadget, it may still have store the data of your activities on other devices. Google has the power to make your advertising profile related to your information that is about location, gender, age, what likes and dislikes, relationship status and even the shocking one: Your income. 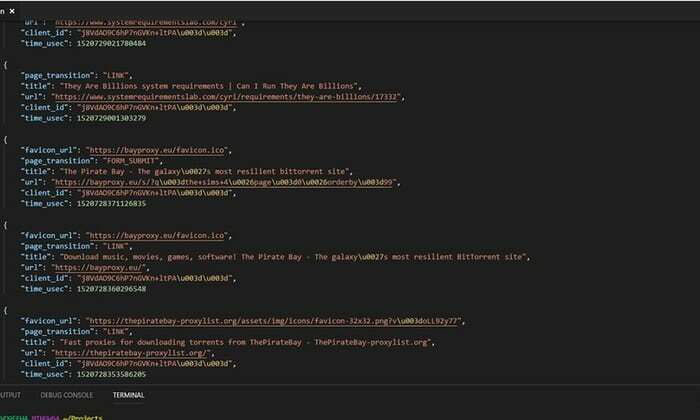 Google has complete information about the apps that you have been using on your phones and computer devices till dates such as Facebook, Yahoo, Tinder, line, Snapchat and others and even the extension you use as well. It further has the eye on, how many time apps you have used, time and place from you are using, and what is the reason behind the use of these apps and at what time you close your eyes on a bed. Google stores all of your YouTube History and cell phone browsing history. Even they have details that you are going to a parent soon, you have liberal or conservative thoughts, about your religion, about your feelings either you it is depressed or suicidal. Google has provided a clear option to the people to download all of your data it has. You can download the data from your bookmark websites, all visited websites, emails that you have sent or received, contact logs, Google drive documents, shared media such as photos and videos on IM’s social media including Facebook even the photos and videos that you have taken with your cell phone back and front camera. 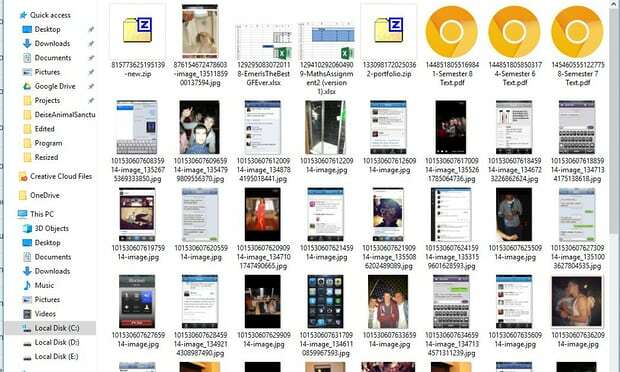 Furthermore, screenshots taken through cell phone camera, they also have all the data of your calendar, Google hangout sessions, and GPS location of your cell phone, location history, music files and phone or computer machine you have owned such as Android, iOS, and windows computer device. Just like mighty search engine Google, Facebook also has offered to the users to download all of your information. It will provide you an opportunity to download sent or received Facebook messages, Facebook chat conversations, contacts existed in your Facebook account and the Facebook Voice messages sent or received and audio Facebook calls. Facebook social media app has stored your interests that are based on your activities and about your friends on a Facebook social messaging app. It means Facebook has been working as Facebook spy app to monitor and store your entire activities the day you have been using the messenger and to the time you are reading this piece of article. 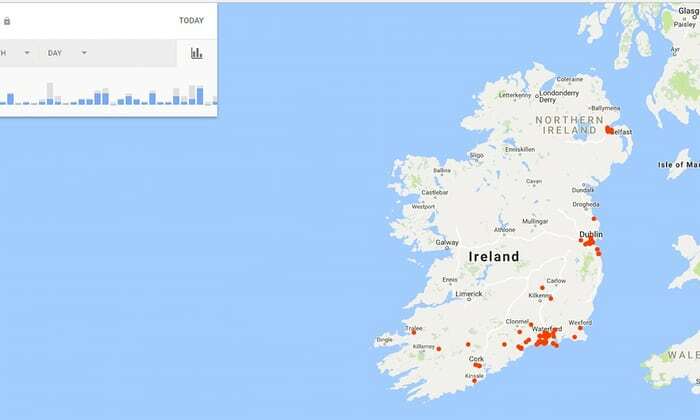 It’s also spy on Facebook account login activities along with the complete timestamp alongside the location. It does not matter if you are accessing your FB account via cell phone or with windows computers. Furthermore, Facebook also tracks the apps you have connected with your FB account, and it can guess with logic and proofs either you are using the social media app Facebook as the stalker, cyber bully, sexual predator, child abuser or using dating apps. It further knows on what time of period you were single and what point of time you have mingled and what sort of phone you have got. In short, a Facebook instant messaging app is working as the same as surveillance software that can sync all of your data into its dashboard. 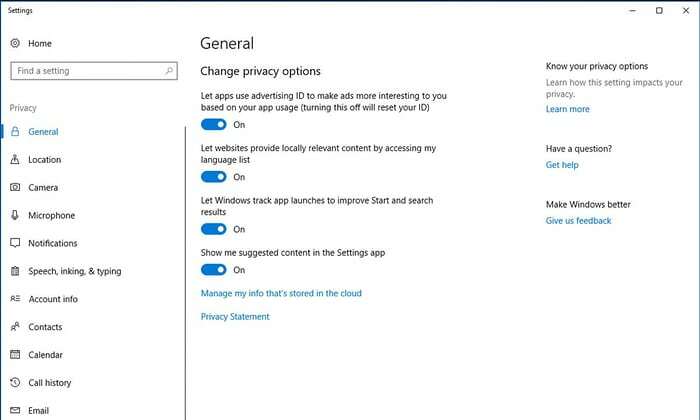 If you are using windows 10 in your computer window PC, following is the picture of privacy options having 16 different sub-menus that have all the option by default the time you install windows 10 on your windows laptop machine. They can track your location, the apps you have installed on your phone and windows computer device and when you have to use the device or gadget. Furthermore, they can remotely get access to Microphone of your cell phone or computer and even can bug your device or gadget webcam or camera, contacts, emails, calendar, call history, spy on text messages, installed cell phone & Windows PC games and last but not the least search history and browsing history. 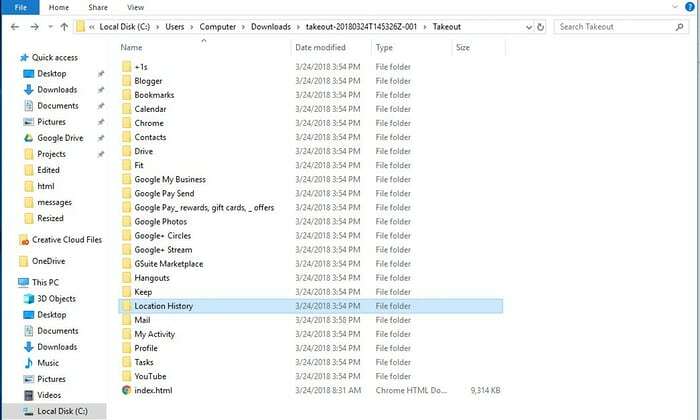 I have got my hands on Google Takeout having all of my information, and thus the breakdown of the few ways to get your information, TheOneSpy CEO Karen Joseph has done the research work. You can see the search History documents of mine in the images that have more than 90,000 different entries, and I have downloaded the websites that I have accessed. You can see my Google calendar broke down, that reveals the events that I have been attended, and the location, with the time schedule, at what point of time I have been in their my office and what point of time I have come from the office, Karen Joseph added. 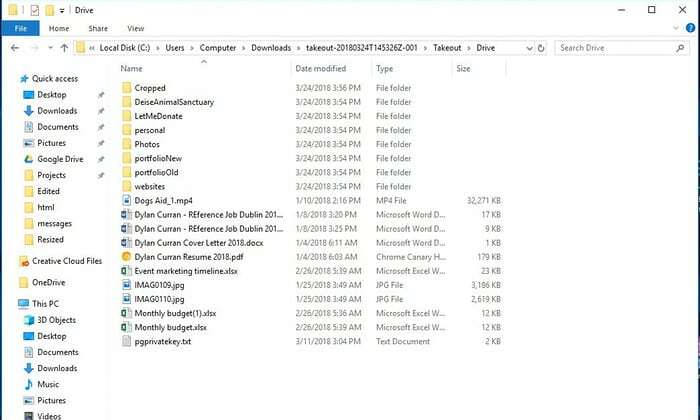 You can further see my Google drive and you can clearly judge that my intended deleted files such as my monthly income, all the codes, documents and websites I have created and encrypt emails, he further added that. 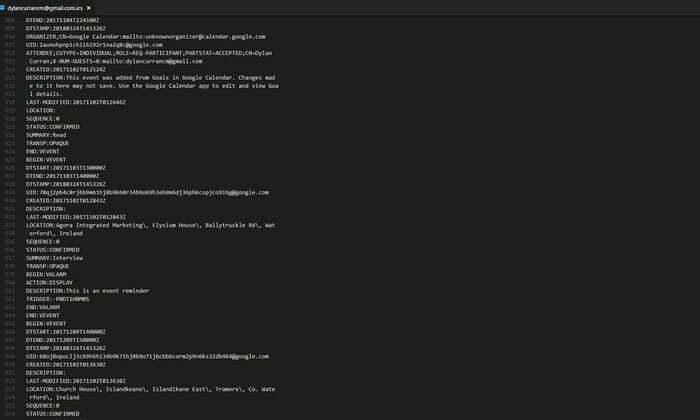 Google has all the access to spy emails that a user has ever sent/received, deleted, spam and the stuff received through emails. In my opinion Facebook social messaging app and Google is not less than a watchdog on our activities performed on the messenger and the search engine that continuously stored our data the fullest. No matter if the data is confidential or simple. There is the number of conspiracy theories I have heard both of these Facebook and Google used to of selling the data for security reasons to the spy agencies of different countries over the years. This video will explain you rest of everything mentioned above. 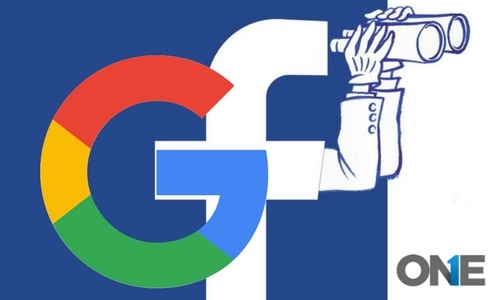 Facebook and Google are not less than a watchdog on activities performed on the messenger and the search engine respectively that continuously stored our data the fullest. No matter if the data is confidential or simple. 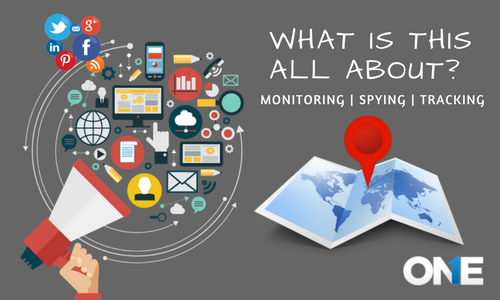 Monitoring! Spying! & Tracking: What’s this all about?